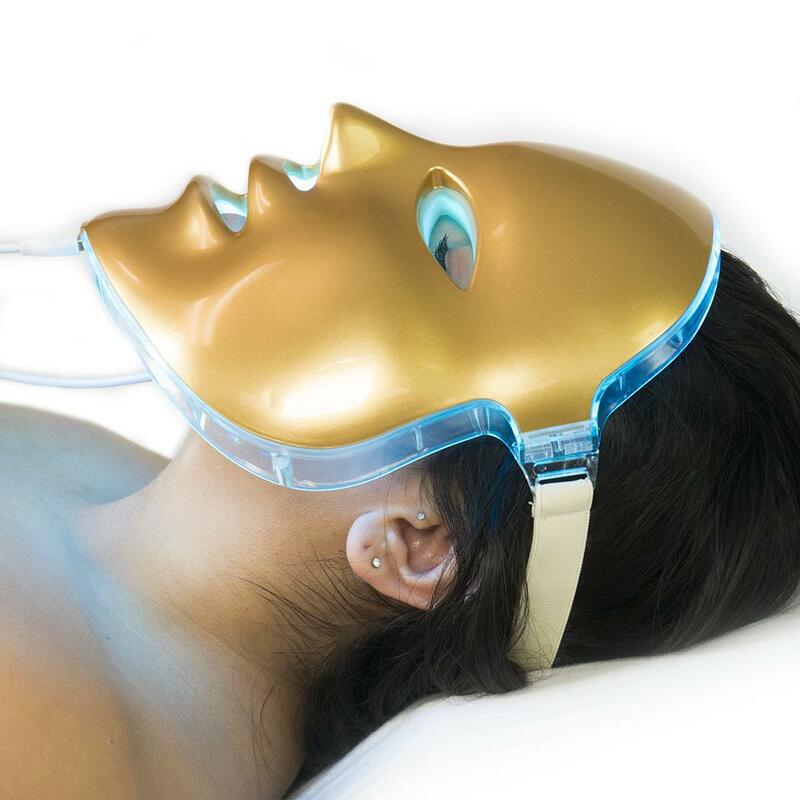 The Golden Glow LED mask created by InnoCell emits light at seven different wavelengths, which makes the device ideal for treating a number of skin problems. 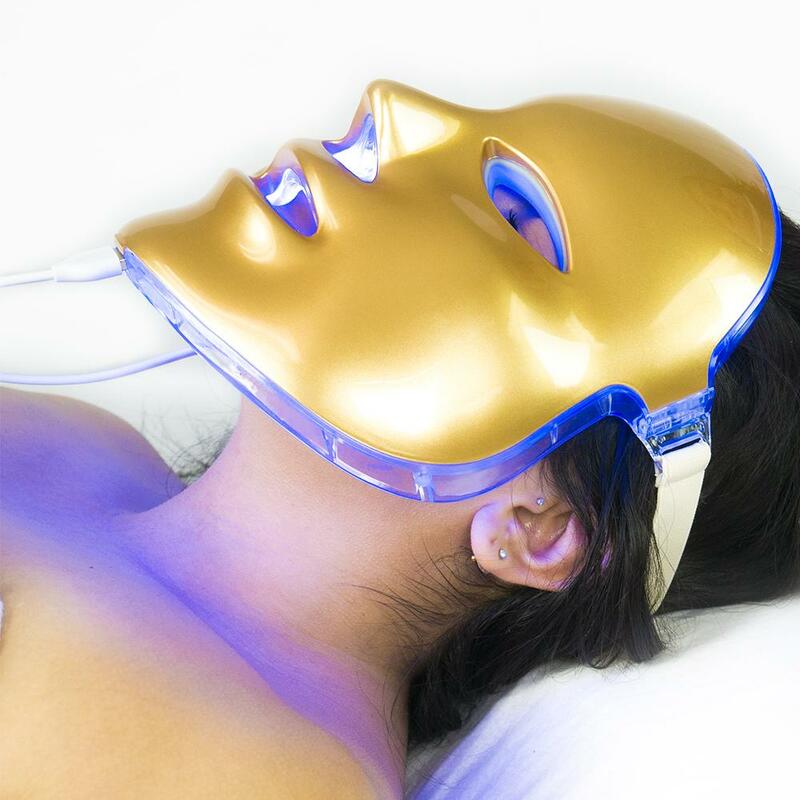 The versatility of the Golden Glow mask also enables multiple household members to get the benefits of light therapy. 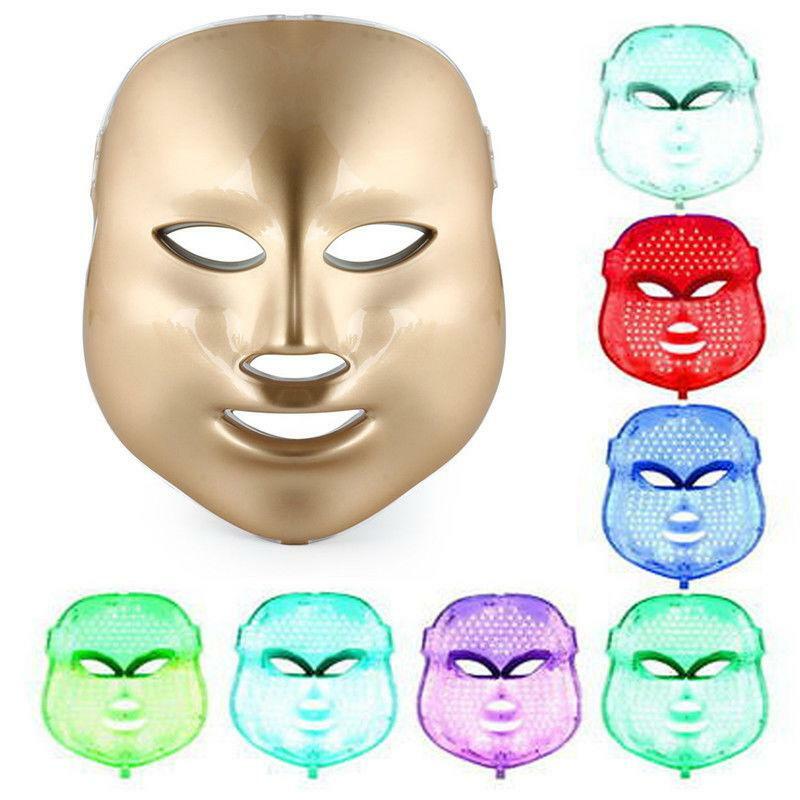 Each mask contains 150 LEDs capable of emitting light from blue to red wavelengths. Each colored light carries significant meaning. Red-650 nm- Red lights dilate blood vessels, which enhances blood flow. The wavelength additionally stimulates cellular mitochondria to increase energy production, which hastens cell replication in addition to encouraging collagen and elastin production. 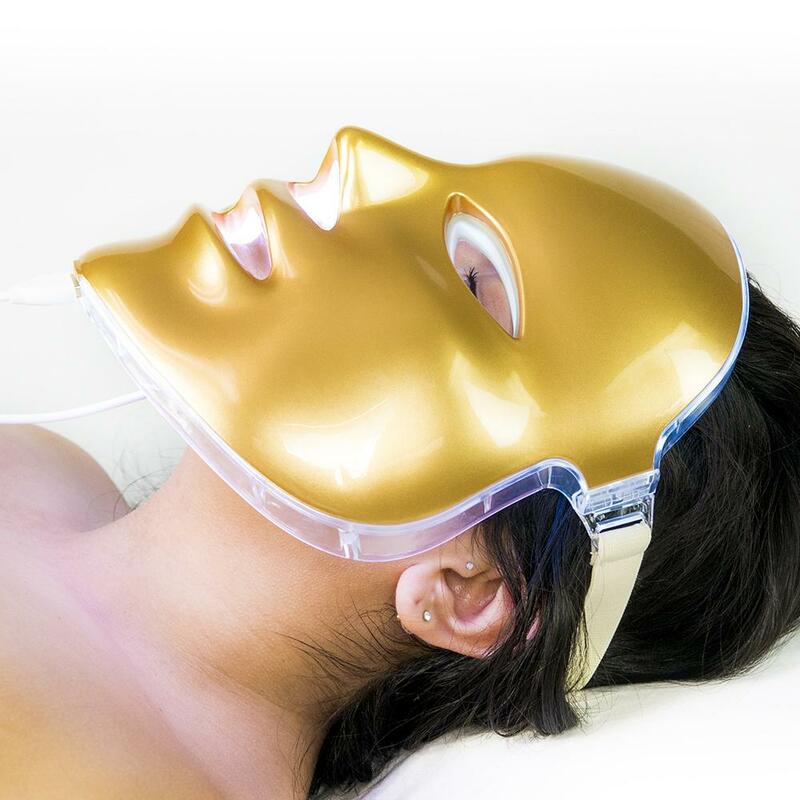 The InnoCell Golden Glow LED Light Mask is an incredible device for any skin type. 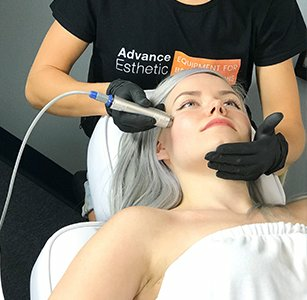 If you’ve been doing your research on effective rosacea treatments, then you’ve already read more about light therapy than the average person. So let’s start with what light therapy is not. Light therapy is not laser therapy. Lasers take light and focus it (unnaturally) into a continuous beam. Lasers work by destroying specific tissue, then depend on your body to clean up the mess. Lasers have the potential to do a great job – they also have the potential to do more harm than good. Light therapy poses no such risk. Light therapy is not IPL. 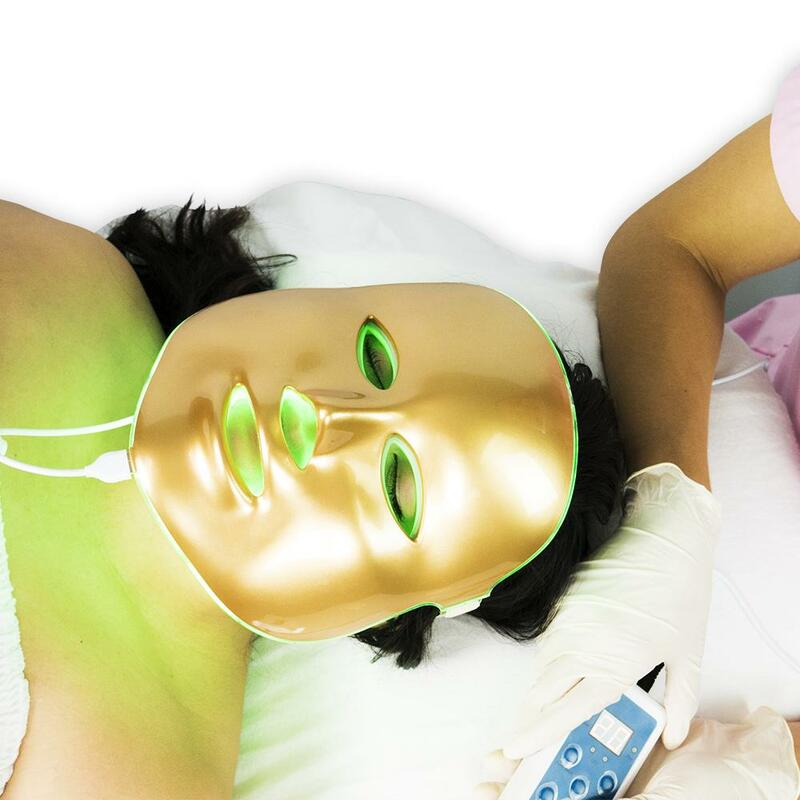 IPL takes non-laser light and blasts it at your skin at high intensity. Again, specific wavelengths of light are chosen to target certain cells or depths of skin, damage is done to those targeted areas, then your body cleans up the mess. 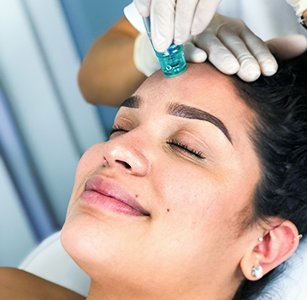 Granted, the damage is usually less with IPL than with lasers, resulting in a less painful experience, and less drastic risks, but still, it’s not light therapy. Light therapy is a branch of alternative medicine. 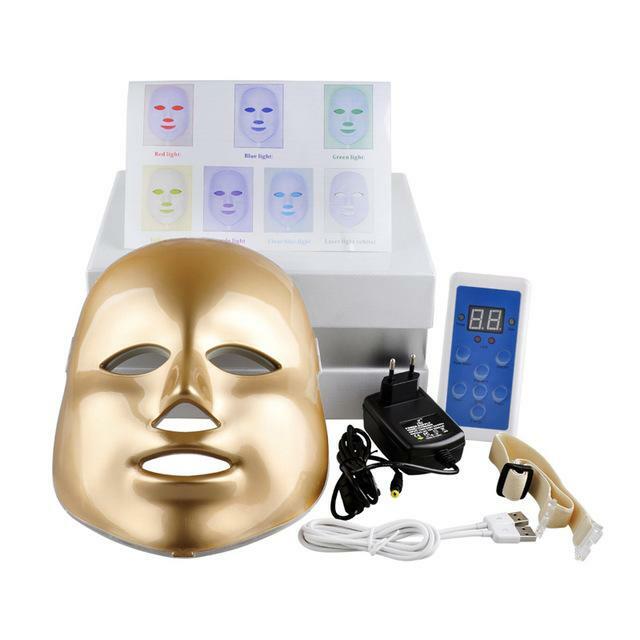 It has been gaining more and more credibility in the conventional medical community, and has finally been accepted as a legitimate therapy and formally named “photobiomodulation.” Light therapy uses natural light of different colors (wavelengths) to cure, treat, and prevent a growing list of conditions, including rosacea. Light by nature is electromagnetic energy, traveling at roughly 186 thousand miles per second. It does not need any help from man to have an impact. Every color of light works in a different way, but the overall experience of treatment is the same. Light therapy does no harm. It is natural, gentle, safe, effective, and without side effects. The wavelengths from our red light therapy products can penetrate the skin to a depth of 8 mm to 10 mm. Improving circulation to the area and encouraging new capillary formation. Increasing collagen and fibroblast production. Boosting ATP (raw energy that cells can use) release. Enhanced “clean up” of the cells (phagocytosis). Raised activity from the lymphatic system. Learn more about red light therapy for rosacea here. What are the benefits of light therapy for rosacea sufferers? 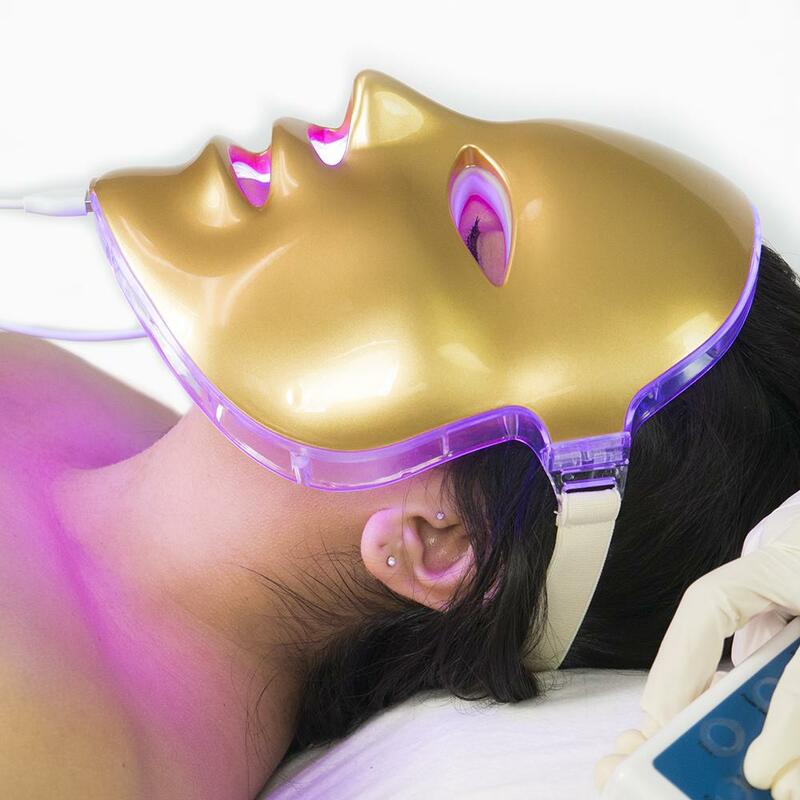 What products are needed for LED Light Therapy? LED Therapy can be performed on dry skin or you can apply any active serum to increase its penetration eep into the skin. Simply wash your face, pat your skin dry and allow your face to air dry. Plug the mask into the remote control. Plug the remote control into a standard wall outlet. Press the power button. Set the timer and color. Adjust the light intensity by pressing the energy button. Press the on/off button to start the treatment. 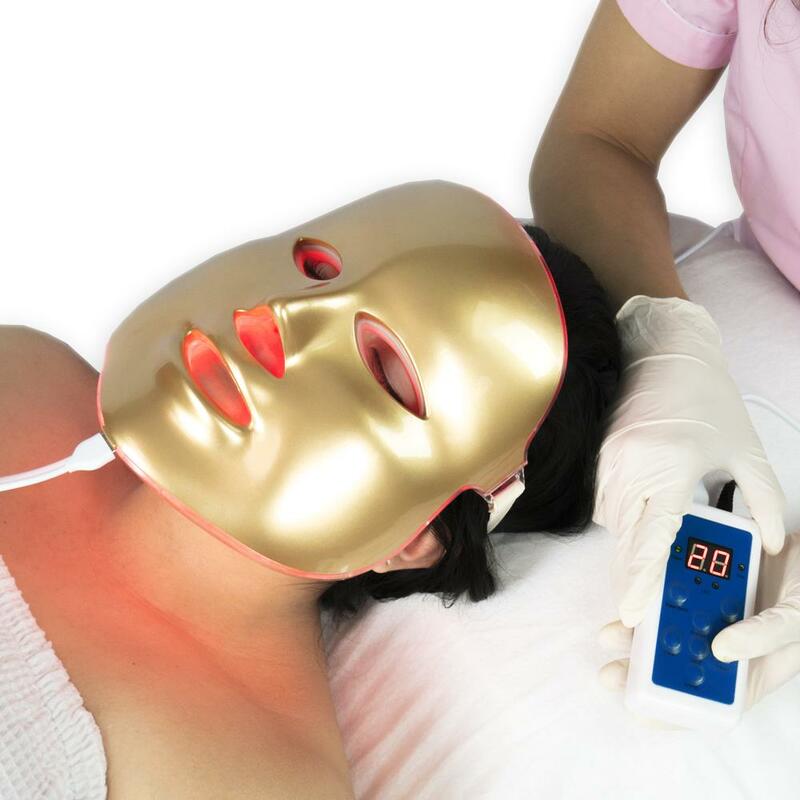 For optimal results, the manufacturer recommends undergoing 20 minute treatment sessions two to three times weekly. Facial skin begins showing signs of improvement after approximately four weeks of continued use. Warning: Do not sleep with the LED face mask on. This may cause overexposure and skin damage. LED light therapy should be used moderately. Remote control should never be placed under the sheet, pillow, etc. as this may result in overheating. What are the results of treatment? 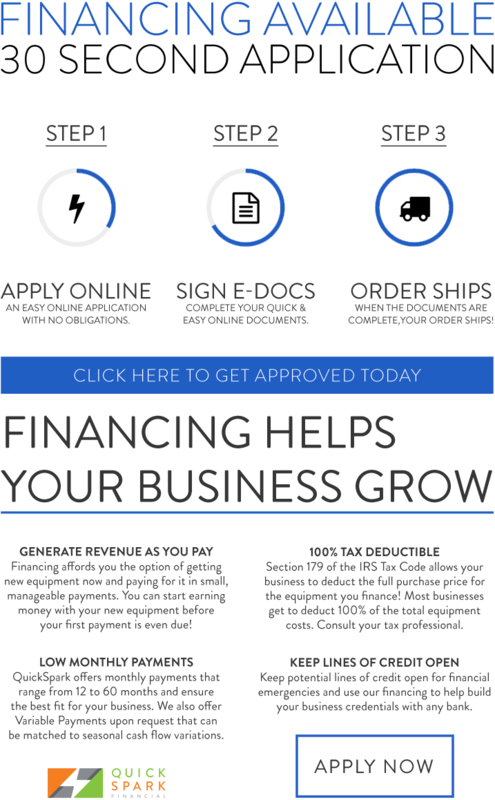 We ship all equipment with our unique, special user manuals in addition to basic equipment instructions because we are committed to giving you the best recommendations and tips to enhance your experience with our products. Call us now and don’t lose your chance to get this incredible equipment at our amazing prices! Take advantage of our discounts while they're here, because you won't find them anywhere else! 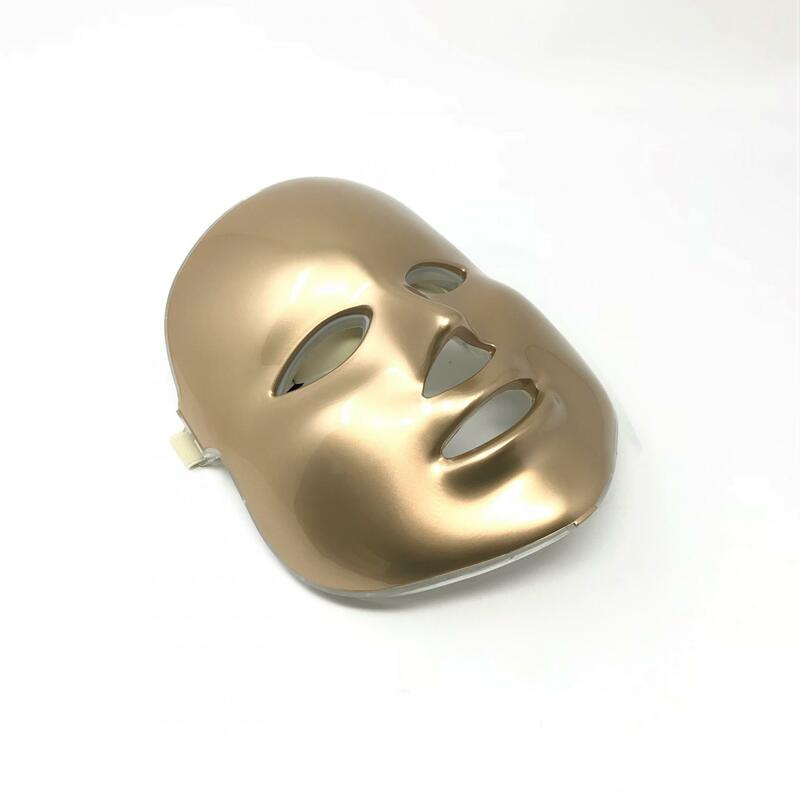 I saw this unusual mask in one cosmetic salon, after which I ordered a procedure on it. I liked the result very much, so I ordered a similar machine! Its just super! I use half a year regularly and start to like myself more (my husband also saw pleasant changes :))) I tried light therapy and my mom (and she is 58 years old), and said that the skin became more smooth, supple, well-groomed. Yes, it does not immediately remove wrinkles, but removes dark bags under the eyes. And even if you sleep 4-5 hours a day, like me, then there is no effect of a person who has not slept or is tired, but for me it is very important (many business meetings and i need to look impressive). Therefore, I advise everyone to buy such a mask to become a little better! Nice mask. I received it in 3 days after order. 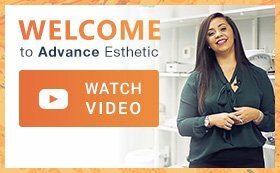 Thank you, Advance Esthetic! Great mask! 7 different colors and intensity adjustment. Great service and fast shipping! Thank you Tasia!